Turn your simple display boards into a display that gets your customer’s attention. 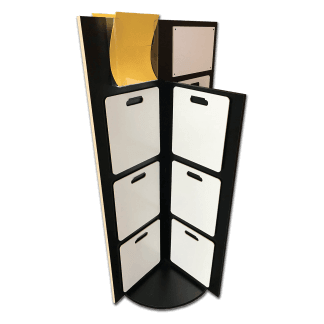 The Danroc Tower of Sales Display holds up to 12 display boards and your choice of either stationary or feature a spinning lazy susan base. The tower itself occupies an 18″ x 18″ space and comes in a 48″ or 60″ model. 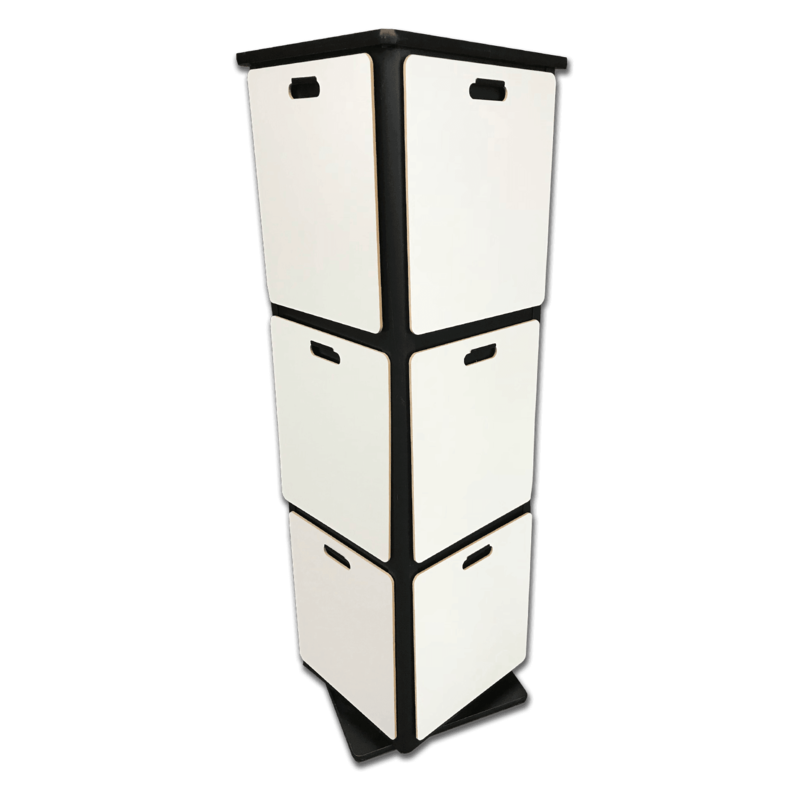 The medium version of the tower will hold boards up to 17″ wide and 19″ tall. The tower ships flat, and comes assembly ready. 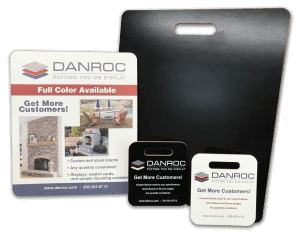 Let Danroc change the way you present your products. Order the Tower of Sales today! NOTE: If there is not a stock Danroc display rack that accommodates your display board, please contact us. We are happy to quote for custom sizes and designs! 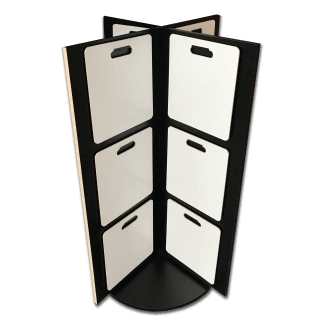 This display will hold sample boards up to 17″ wide and 15.5″ tall.